So now comes the very fun part the chair is actually coming together. First you have to decide if you are going to use pocket holes to put the arm together to the back rest. I chose to use pocket screws because it’s one less thing you have to make disappear with a plug on the front of the chair. 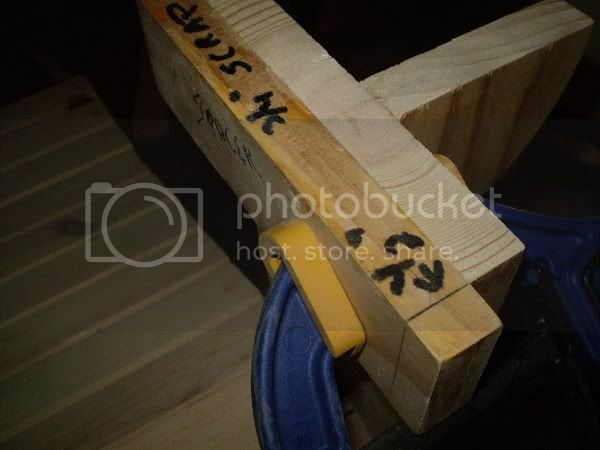 I place my Part F onto the bottom of the back rest and mark one center location on each of the 4 skinny slats and three marks on the center slat (1” from each end and 1 in the middle). You don’t have to be super precise on the measurement. 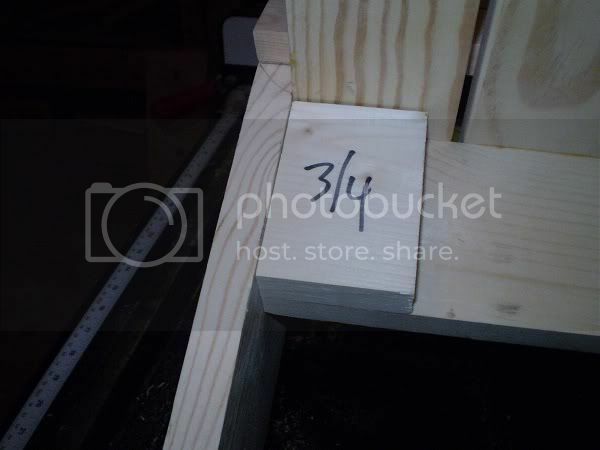 Next up is to mark distance where you will place the pocket rocket to drill the hole. 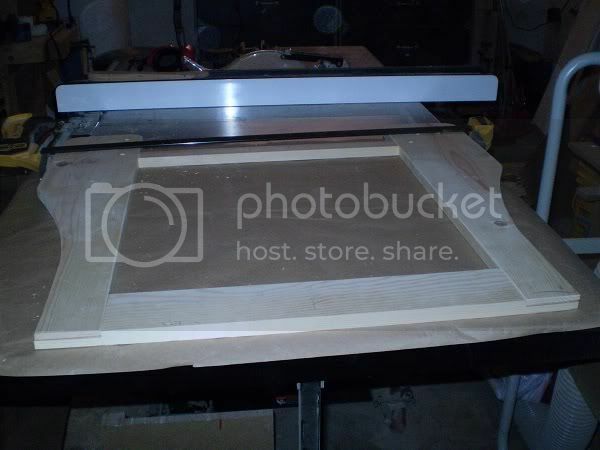 I make a guide mark at about 3/8” from the edge, and then simply drill the holes. Be sure you are drilling on the bottom – that’s important. To put your arm assembly together you’ll need a 19.5” spacer to keep the arms at the front at the correct position. 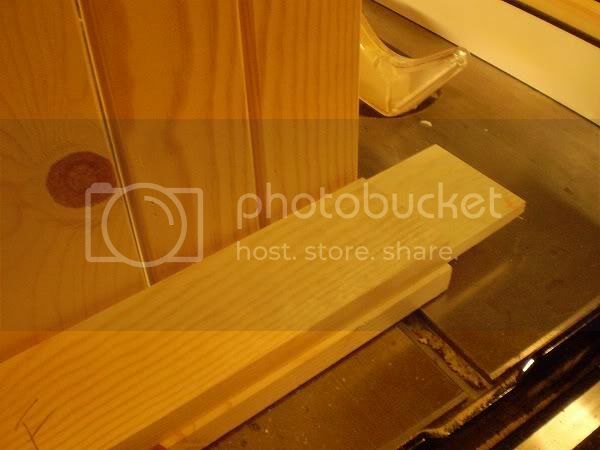 I use a clamp to lightly clamp the arms to the spacer. Next up is to simply glue your laps together, clamp and let dry. Once dry you’ll want to sand your assembly before moving on. 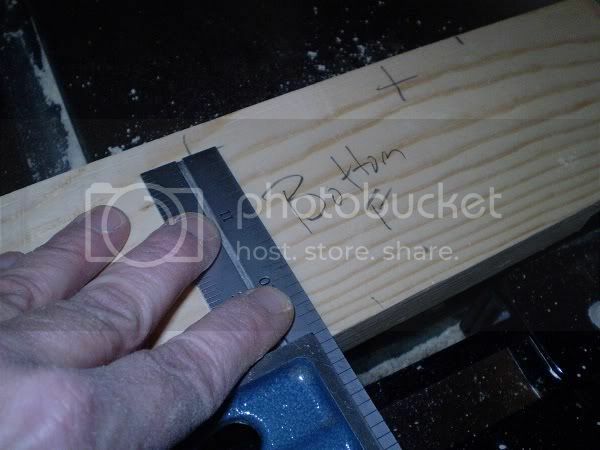 It’s much easier to get all those pencil marks off and to take care of any difference in height in your lap joints. Once dry, you can do the final assembly of the chair. For this process you’ll need two scrap pieces the same height as the front leg. You’ll want to clamp these to the back of the chair leg to hold the arms up until you get the back rest in. These will support your arms and make sure they are level. 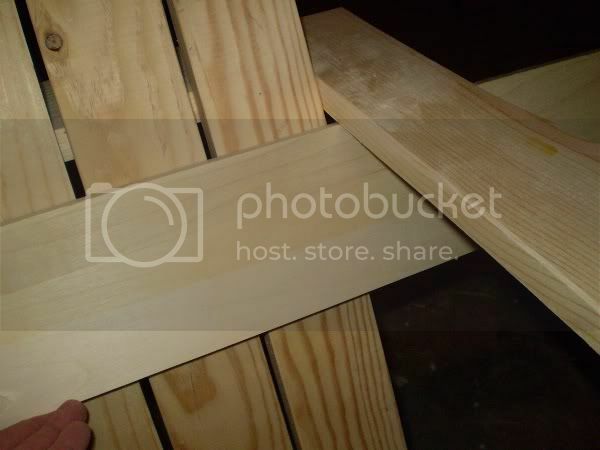 You’ll also need a scrap piece to align the front of your arms with the chair leg. The scrap is ¾” wide and I’ve marked a ½” line to indicate the overhand of the arms. 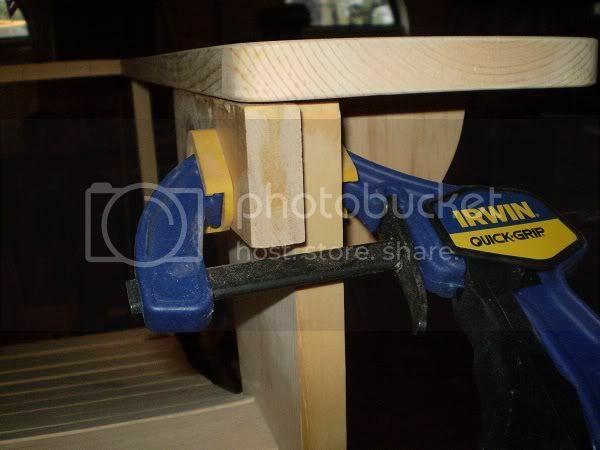 Place your arm assembly onto the chair and rest them on the scrap pieces at the back. I generally put one screw in one arm to get it set and them set the other arm, coming back to finish up all the other screws. 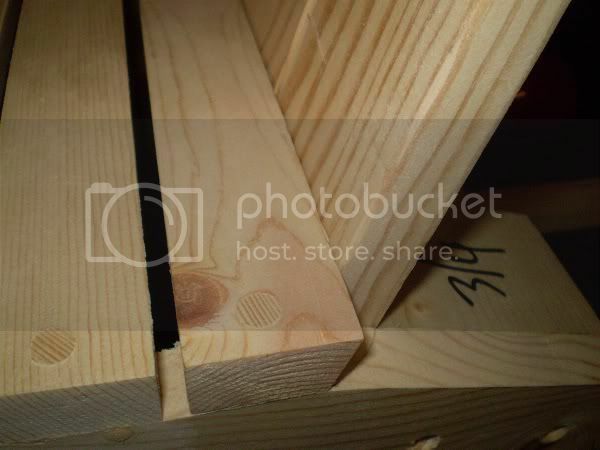 Be sure to drill pilot holes before driving your screws – you don’t want to split your wood when you are almost done! Next you’ll take your back assembly and place it inside the arms and down between the leg supports. This can be a little tricky if you have gotten your measurements off at any point. The back rest should slide into the assembly without too much trouble. I like to secure my bottom screws into the backrest before I screw the arm (part F) into the back rest. The process I use is very simple. 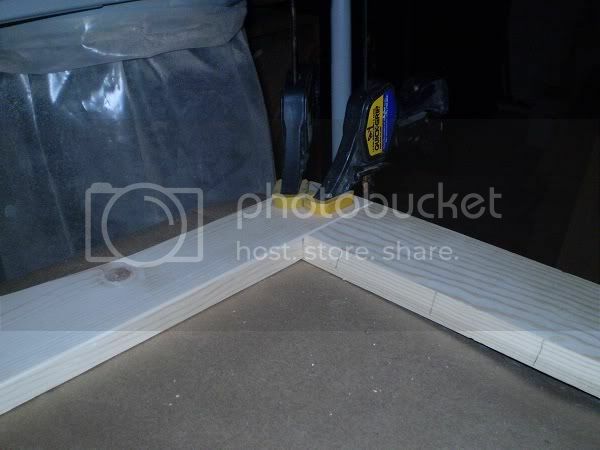 Get a small a scrap of ¾” material and place it on the bottom of the back rest. That scrap should be exactly at the level of the leg support, that will get you smack dab in the middle of the board to run your screw. Before driving your screws, be sure that your back rest is flush against the seat slat. I drive one screw on each side and check my assembly before doing the final screw. 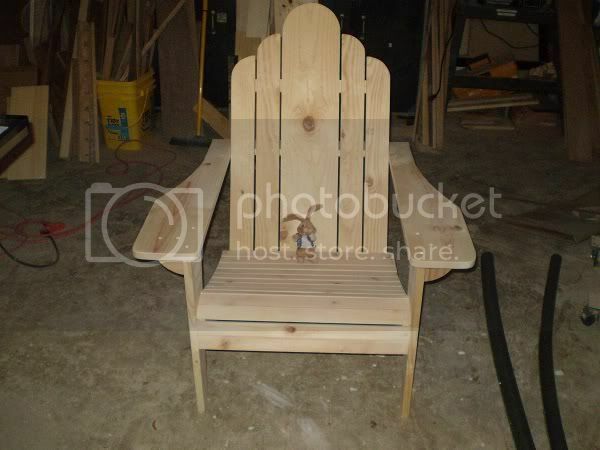 After that you will drive your pocket screws on the underside of part F into the back rest. Be sure not to over drive – you don’t want the screw tips to come through the front. I use 1.25” screws. Now if you chose not to use pocket holes and will be screwing your arm rest to the back rest from the front – the easiest way to determine location is to simply place a board across your arms top and bottom. Draw a pencil line to essentially box in your location. 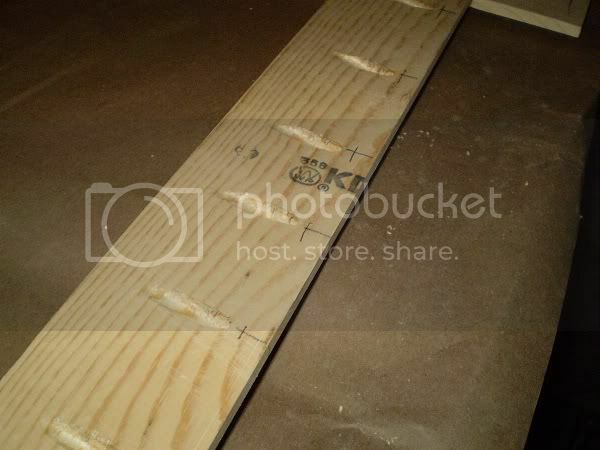 Determine the center of each slat and drill countersink holes, and install your screws. Your chair should sit level once everything is put together. If your chair rocks then you have either put one arm more forward or have one side of the back rest too low. Check your set up quickly before your glue dries. You can always fix a little rock after a chair is done, but you don’t want a big wobble that will only sit level in the grass. All that’s left is to plug the screw holes, paint and enjoy. Hop is way ahead of you! I’ve enjoyed doing this class. 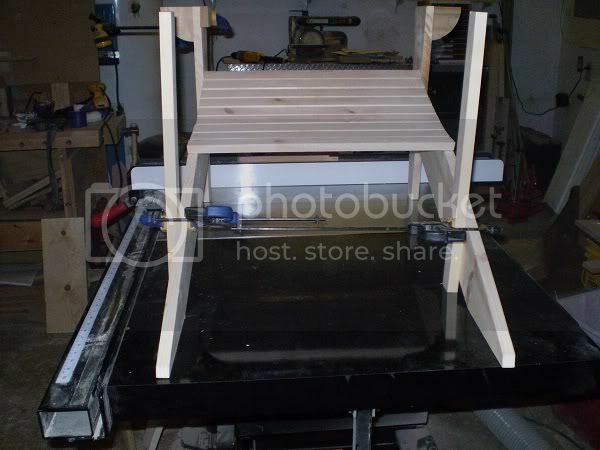 I do not plan to do the foot rest that goes with the chair, it’s pretty easy to follow the directions and I don’t believe I can make the plans any better than they are now. I hope you have enjoyed the class and if you ever have questions, please feel free to contact me through PM. This has been a Super class, Betsy! I picked up a lot of tips to use on many other projects and I can really relate to your techniques and procedures. Thanks for all of the hard work and sharing your expertise. Glad I could help Jim. I may be a little late but thanks for the lesson. 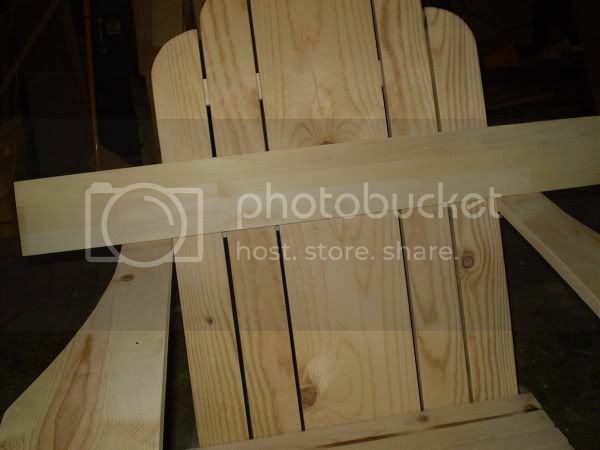 I built the folding Adirondack and will be building more soon. Your lesson has gave me a lot to take in. You did a great job and I look forward to any other lessons that you will be putting up. Thanks Canoe. Always nice to know that my efforts have helped a fellow woodworker.